Two C&G; exhibition projects were featured this week in the New York Times: Emma Lazarus: Poet of Exiles and John Adams Unbound . 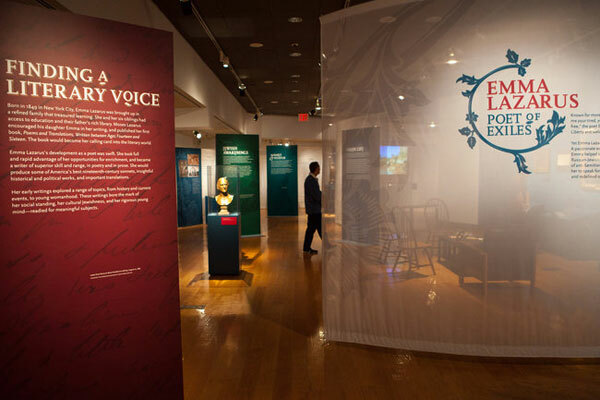 The Emma Lazarus project opened recently at the Museum of Jewish Heritage in New York and was reviewed by Edward Rothstein . The image below appeared with the piece. 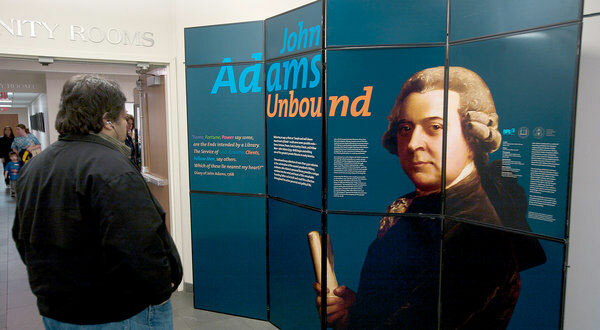 The John Adams project is the traveling panel version of a larger show at the Boston Public Library , both designed by the firm. It was reviewed by the Times when it arrived at a venue on Long Island as part of its long countrywide tour. The image below appeared with that article .